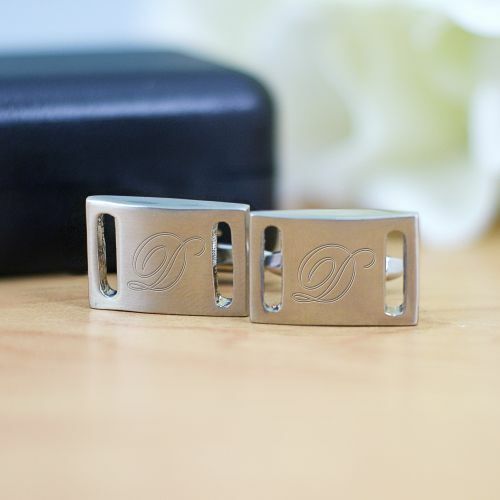 Outfit all of your groomsmen with their own Personalized Silver Cufflinks. A handsome gift to say Thank You while providing a useful gift he can use for the wedding. These attractive silver cuff links also make a perfect addition to any business executive's suit. Additional Details GiftsForYouNow.com offers many unique and handsome accessories for the busy man in your life. We have a fine collection of Personalized Groomsmen Gifts along with Engraved Accessories. Shop GiftsForYouNow.com for Personalized Engraved Gifts for Him.